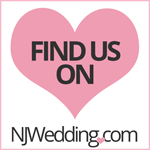 Kathedral Event Center takes pride in its hometown of Hammonton, NJ. Located less than a mile from the Downtown District, Kathedral is proud to support other local businesses. If you are interested in renting Kathedral for your corporate event, wedding, school function, or private party, consider our list of Preferred Vendors located in Hammonton. Mention Kathedral Event Center for preferred pricing.